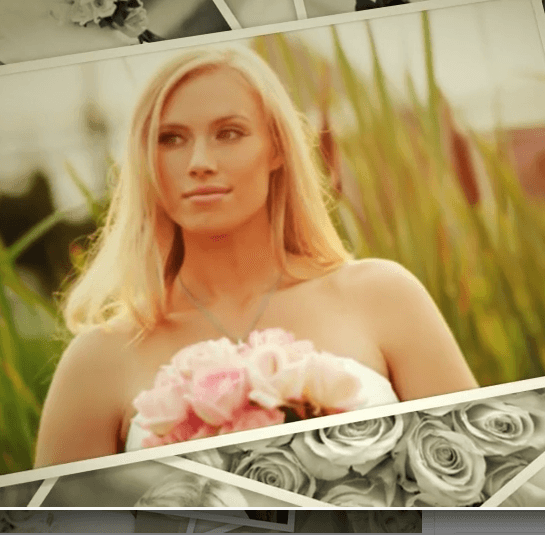 Wedding plus blog WordPress theme with simple design and awesome homepage. 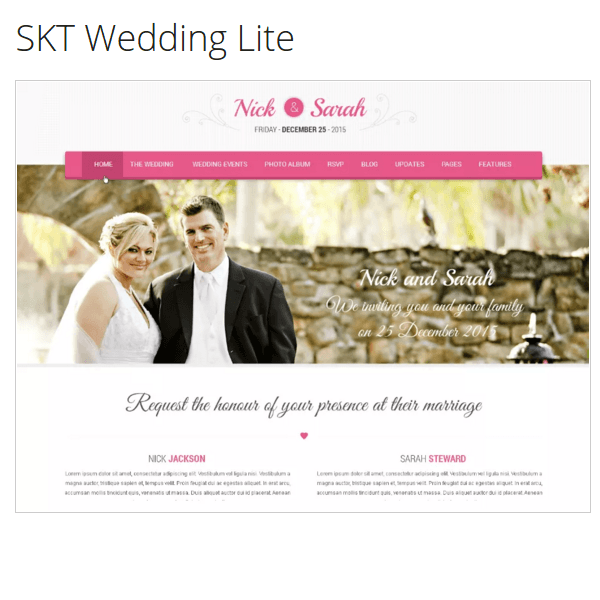 Responsive and SEO friendly Wedding WordPress theme. 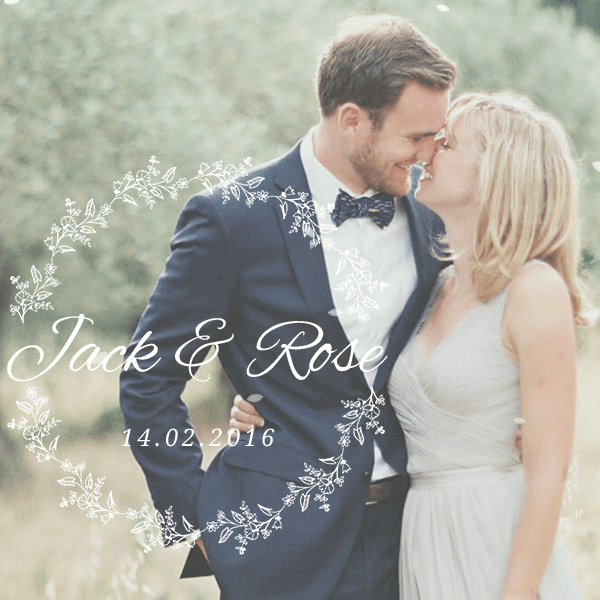 Jack & Rose is a beautiful WordPress theme built specially for Wedding related websites. It is a well documented theme that will guide you in building site with it, also it is responsive and retina ready hence it can easily adapt devices ranging from desktops, laptops, tablets, mobile phones to iPads and iPhones. On activating this theme you get theme options panel which has lot many powerful settings to choose and customize site with few clicks without any special knowledge of coding. You can use single fullscreen image or video background or even slider for home section. Hey this is really a beautiful elegant theme. Looking forward to use it on my wedding website. Keep up the good work guys!! 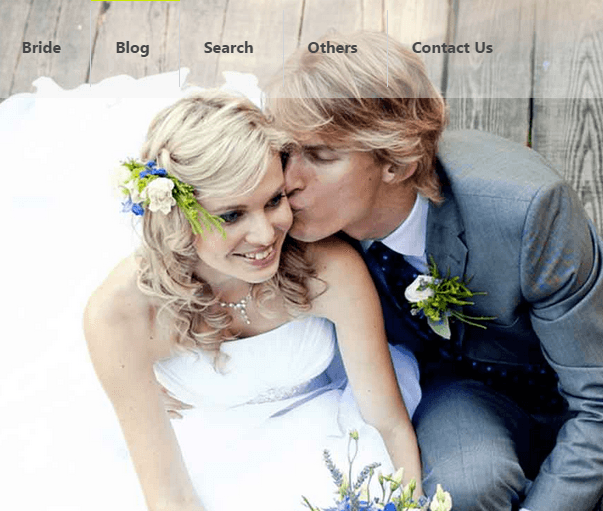 A WordPress universal theme for Weddings and Events.